WTF! I Represented New Zealand. In The World Cup Of Poker!? WTF! I Represented New Zealand. In Poker!? This happened way back in 2009 (beardless Jub), but representing New Zealand was pretty epic. This is the World Cup of Poker as I recall the events as a shy guy who didn’t know much about the world beyond New Zealand (or anything else as you’ll see at the bottom of the post). I remember the emails going back and forth the morning after learning we, Team New Zealand, had made the final nine of the PokerStars World Cup of Poker. My fellow teammates representing New Zealand were talking about getting great flight deals to the Bahamas on AA.com. As a New Zealander I associated AA with the New Zealand Automobile Association. I was thinking to myself, why on earth AA have the best deals on flights? AA.com, of course, was for American Airlines. That’s how little I knew about travel. Less than 12 hours earlier I’d gone to bed in a foul mood. Having made the New Zealand team by defeating ~200 other kiwis, I felt like I’d let the team down by being the second person knocked out on my table. I left us with minimal chance of us being one of the final nine teams from the original 54 countries trying to win the 2009 World Cup of Poker. It was 3 am when I was knocked out so I went to sleep with work starting at 8 am. When I woke up four hours later, I checked to see which nations were left. Would I really be going here? While I slept, my teammates (who I’d never met) had played us into the final nine. When nine teams were remaining the tournament was paused. 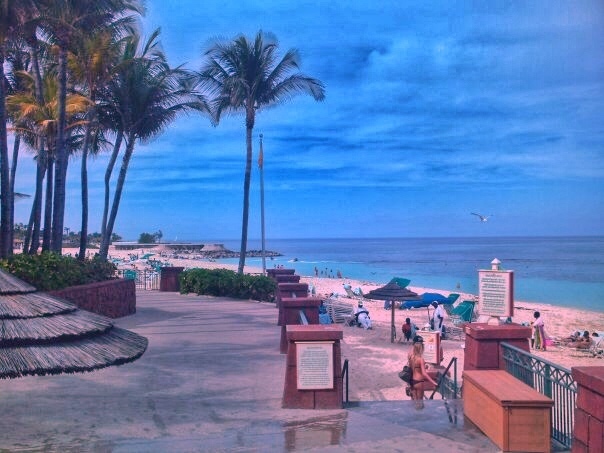 The tournament would resume a few weeks later in the Bahamas to be played on TV during the PokerStars Caribbean Adventure. 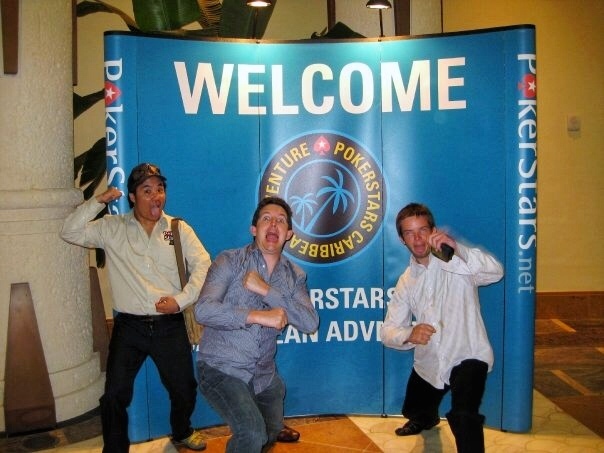 PokerStars had already connected my teammates and me together via email to get to know one another and organise flights etc. That’s where AA come up. Having only travelled to Australia, and never having booked an overseas flight on my own, I had A LOT to learn. I even asked my travel agent friend acquaintance if she could be a discounted flight. That’s embarrassing. 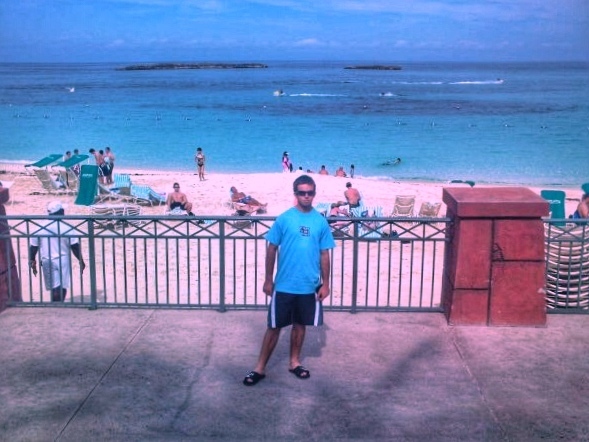 Fast forward a couple of weeks and after a few long flights, I ended up at the Atlantis Hotel. Wow, I’d be staying here? I was living in a 90$/week sunroom at the time. This room was hundreds of dollars a night, a slight upgrade. 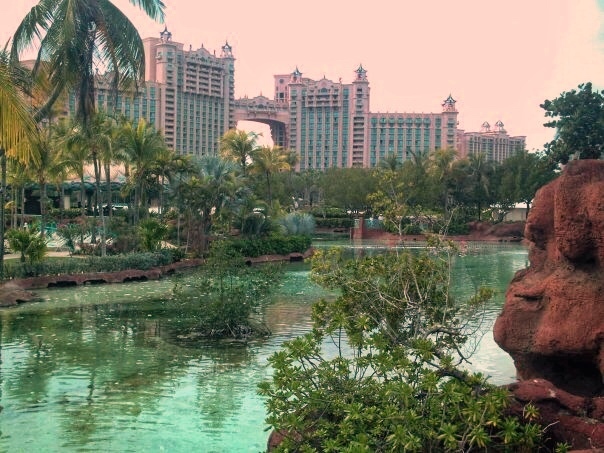 We had a week at Atlantis and the PokerStars Caribbean Adventure. The world cup was only going to be played over two days giving us plenty of days to relax and explore the resort. And drink Bahama Mama cocktails. 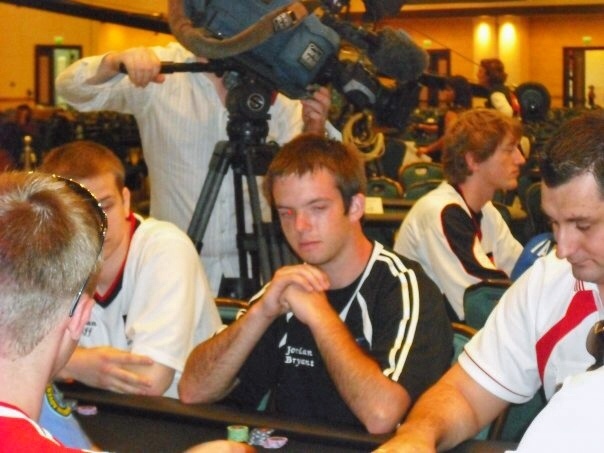 It didn’t take long until I started spotting some of the biggest names in poker at the time, including Lee Nelson. The PokerStars sponsored professional from New Zealand who would be joining our team as the 5th member. The first day we played was to decide the seedings. I hadn’t played any poker for a few days but was so excited. Then I drew a table with Daniel Negreanu, my favourite poker player. Crazy! Unfortuantely on the one hand I played with his AJ beat my AK. Then on the other side of the table was Greg Raymer, the Fossilman. He had the honour of knocking me out when I ran into his Aces preflop. I was happy with my play but as a team, we were seeded 7th. The real deal was to be played the following day. Poker events are often like a party, and with a $1000 spending credit at the hotel, I decided to drink a fair few drinks that night. This didn’t work out too well for a number of reasons. I mean, how could I not be? The next day we’d be playing the big day but more importantly for me, we had been convinced to perform the haka during the opening ceremony. Mainly for the TV, but there would also be a lot of people in poker room. My haka skills aren’t great, so we organized a bit of a practice time between us a couple hours before the scheduled festivities. Thanks to a few too many beers, I missed most of the practice session and found myself practicing the haka on my own in my room. Awkward! I’d never had to face TV cameras before but it all seemed easy enough. Until we had our pregame interviews, then when the camera flashed to me I was stunned. Do I look at the camera or the interviewer? Ahhhh. The Team New Zealand video with a glimpse of the haka. Before long the next scary moment had come. The haka. Myself, hungover, out of practice zero experience and with minimal chance of hiding in the background I was pooping myself. Thankfully Richard stole the show leading from the front and it was all over before I knew it. People seemed impressed by the whole thing which was awesome, maybe they were being nice? Now it was time for the real deal. The goal? To win the Poker World Cup. As 7th seeds, we weren’t under a whole lot of pressure and over the next few hours we hung in there. The first two knockouts took a long time, and we had a few nervous moments but weren’t in any grave danger. A couple of interesting hands during the final table. Random side note: I remember briefly chatting to a guy watching the table. While he went to the toilet he asked me to hold is 30k in chips. Having just met this guy that seemed insane the level of trust he gave to me. There was no way I was letting go of them! The way the format played out I didn’t get a lot of table time which I was totally fine with. I was the least familiar with the tournament structure and was happy cheering tableside. I do recall making one big mistake. I believe there were four players left when I was on the table. Holding KTo (it’s bizarre what I do remember) I folded on the button when the move was obviously to go all-in. I was quickly subbed in as the pressure got to me. Again, I was okay with that. Thakfully Team USA went out in 4th. The final three teams? New Zealand, Italy, and Germany. The prize pool was distributed as 100k for first, 70k for second and 50k for third (all prizes to be split five ways in the team). As most of us were more or less amateurs we managed to strike a deal that meant everyone was guaranteed $14,000 each and there was another $10,000 to play for. Now that there was a deal in place the last few hands were played out quickly. I was gutted but we finished second to Germany. Of course, two months earlier I would have taken that result in a heartbeat. The rest of my time in the Bahamas was filled with Bahama Mamas, the lazy river, Kalik and was summed up with the closing party the night before I was flying out. I had a few too many drinks and managed to sleep through my alarm clock, wake up call and security knocking on my door. Eventually, security got in, by which time I was late for check-in. Got hustled for $50 at the airport for someone to look after my bags at the front of the airline queue. Asked for the first flight to Florida. Landed in Fort Lauderdale, not Miami. Rebooked a flight to LA and only caught my LA to Auckland flight thanks to delays thanks to stormy weather. Was $800 out of pocket. Wow. I know the World Cup of Poker is not any kind of semblance to the pressure cooker environment of the likes of All Blacks or the Bulldogs but wow, it was crazy. I have full respect for all professional athletes (unless they cheat). I know longer play poker on a regular basis, but this is a memory I’ll never forget. I didn’t want to get off topic too much from the story but think it’s important to share. As you’ll know I was oblivious to travel and ethics in regards to the way animals are treated around the world. 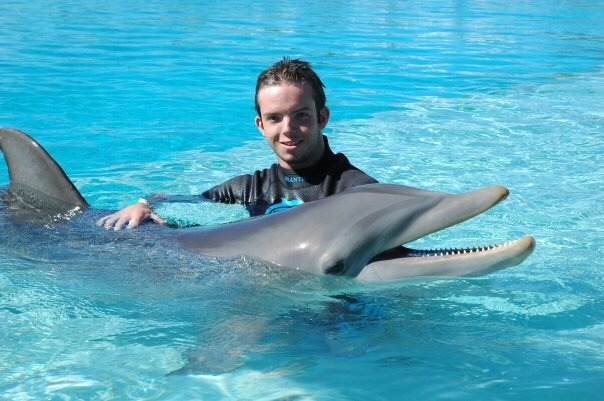 I chose to swim with dolphins when I was in Atlantis, please never ever do this!